From having her songs featured in the US TV show CSI and the video game FIFA ’12 to composing the original trailer music for the huge movie hit The Hunger Games, Tying Tifanny is a multitalented artist from Italy with a strong passion for anything artistic and original. Unique, charismatic, true to herself and not afraid to express all the feelings from the various beauties of the world, TT’s work is never the same. Her fourth studio album Dark Days, White Nights has been released in January and as her previous works, she takes her sound to a different level and shows us all the great aspects of creating music. Here she talks about her biggest passions – music and art, as well as her style, upcoming tour and future plans. You have released your fourth album in January. How does this one differ from your previous work? It’s a little bit different. I went back to work on some songs that I had left unfinished from my previous album Peoples Temple. I wanted to balance the impact and atmosphere different in attitude and expression, thus was born Dark Days White Nights. I like to generate a powerful wall of sound. Last year a lot of things changed for me and for this reason, I felt the need for a more intimate album. I like to scan the human mind, telling of issues such as the lack of communication, existential unease, the crisis of modernity… This work also talks about the great mysteries of the night and day. What inspires you to create your music and how do you like to experiment with various forms of sounds? Throughout my life I have been influenced by many things around me and these obviously are welcome . Like movies, books, magazines, listening to a lot of music, nature but mostly I love to observe the world, people and what it brings to my every day life. If you take in every situation you see, there is a story behind it. I like to experiment and discover the different sides of me to grow, without limits or musical boundaries. This pushed me to do what I’m doing. You’re from Italy. Is the type of music genre you create common over there? In Italy the music that works is primarily traditional folk or pop. The remainder is totally underground and it’s really hard to establish itself outside of these rules and very different than in Germany or UK or other countries in Europe where the alternative music is proposed by radio, various magazines and important thematic festivals. There are only few magazines of reference, rare evenings trying to bring the genre, often hampered, but we have a lot of people who follow the scene and would like to have more opportunities to spread. Fortunatly there are independent web channels that come to the rescue. You’ve done quite a few shows since the release of your latest album and you have more coming up, also in Germany. How has the tour been for you so far? For the moment everything went very well, but still lacks real tour beginning in September with venues across Europe. The gigs are very important for me. I really love the contact with people, life on the road and never stopping. It would be great to see you play over here one day! Have you played in the UK before? I played in the UK last summer. It was great and soon I will come back for other gigs. I have a new booking agency there called No Wave Production. It’s not easy to get attention in the UK because there is so much proposal as opposed to the other countries. This time I would like to plan a tour over there seriously because I believe there is the right audience for what I propose. You have composed the music for ‘The Hunger Games’ trailer which is a movie based on a bestselling book and has been a huge hit in cinemas. How does it feel to be part of something like that? I grew on a lot of things and I’m still catching on a lot of things, you know. Everything is just new for me and I get to do what I want to do. Compose a theme for a trailer like ‘The Hunger Games’ and a movie sountrack is totally different from what I usually do in music. It has been a great chance and a release in this mainstream context. I love working for film because I am asked to combine the variety of music and it’s always a welcome opportunity for me to learn more about it. Anyway, this is one of the most rewarding things I’ve composed. You have attended the Art Institute. Other than music, which other forms of art do you enjoy? I love all forms of art and I try to make special and unique everything that’s around me; even things that may seem unnecessary or no noteworthy just like the thought of the Dada Surrealist Movement, like a big F*** YOU to the whole idea of art. I am always looking for something new, I like to surprise myself and be curious, especially in the visual arts and cinema. I really like your style. As a woman in this industry, do you feel any pressure and do you care much about being or looking a certain way? I always follow and believe in my own feeling about the style and music. I haven’t felt any pressure. I like to evolve and change my style to grow up as an artist. Sometimes artists follow the latest music trend but it’s very dangerous to change the style, just to keep the attention of the hyper bloggers. In this way anything good won’t be done, only experimental and throwaway projects. And finally, what would you like to achieve as a musician in the next year or two? I’m starting to work on a few new projects which are totally different from TT and I’m going to increase my stuff. So music, music and music! After an exciting European tour, the four piece garage rock band DeepSeaGreen from London are ready to throw themselves into recording a new LP this summer. Their previous records DeepSeaGreen and Valsorda provide the listener with a great mixture of passionate guitar-noisy rock, blues and psyche topping it all with a vocal that’s very rock-natural. This band was clearly meant to be and bring back some classic rock’n’roll noise with their own stamp on it. Trent (vocals, guitar), Marco (bass), Jon (guitar) and Dan (drums) talk about the tour, music industry, influences and their upcoming album. You only just got back from your European tour. It must have been very exciting and a great experience for you. Can you tell us about it? Trent: Overall it was an amazing experience. We played 11 gigs in 7 countries, travelled 1000s of km, met some wonderful people, heard some great bands and saw some incredible sights. To be honest, I feel like I’m still taking it all in, so much seemed to happen in such a short space of time that it’s a struggle to process it all. But it was great to share our music with other people in other places and to find them so welcoming, positive and appreciative of what we do. Jon: The tour was a real experience for us all. There were a lot of unexpected incidents over the course of the tour to deal with as well. The most common being our van breaking down. Hopefully though we made a few new fans along the road as well as getting to experience playing in all those different countries. How different was the audience in all those countries compare to the UK one? Trent : That’s a tricky question to answer but my general impression is that audiences in Europe are less judgmental in some way; perhaps less bound by their image of themselves as it relates to their musical taste and just excited to have a great night. In most places they seemed happy to dance and move and express themselves. The vast majority of our performances in the UK have been in London, where there is such a vast number of bands and venues that audiences can sometimes feel a little indifferent to everything, hostile even, by comparison. Having said that, we’ve played to some cracking London audiences over the past year. Jon: The audience’s differ a lot from country to country. For example in Austria we found them to be quite reserved and polite, clapping only when they were certain each song had finished. Whereas Germany and France were more interactive with cheers and heckles, much like you would find in the UK. You play a classic garage rock we don’t get to hear much of these days anymore. How has it been for you over the years to get this particular sound out there with everything in the music industry being so mainstream? Marco: If the industry wasn’t mainstream, it wouldn’t be called the industry. What the industry delivers to the mass audiences is just the very tip of the iceberg of the music scene. I think that most music genres, including ours, have been around more or less consistently ever since they were invented in the 60s… Unfortunately most bands never made it out of the underground scene, but now, with the internet revolution all these obscure bands are accessible to everyone, everywhere at any time. So, to answer your question: I doubt that any DSG material has successfully reached the industry’s ears at the moment, nevertheless we have a pretty solid underground fan base all around the world, that’s been built on nothing but honest passion for music. How did you come up with the band’s title? Any special meaning behind it? Trent: What can I say? We needed a band name and we searched high and low for one and eventually found ourselves inexplicably looking at colour names. We came across DeepSeaGreen and took to it. I’m not sure why except that it had something about it, it seemed evocative and imagist. So no, it doesn’t have a special meaning just an indistinct sense of meaning. Who writes all the music and lyrics and what or who influences you while creating? Trent: I wrote a lot of the music initially, but now we have a mixture of methods. Sometimes one of us will come up with a whole idea for a song or just bring bits and pieces to rehearsals, which we develop together. As the singer, it seems natural that I write most of the lyrics and of course have ultimate reign over the vocal line. In the end everyone has creative input into the music, one way or another, and that’s vital for the band, for every band really. I don’t see how a band could work at it’s best without that. In terms of influence, I personally try not to be directly affected by other music when writing. I want the music to come from us as a band, not just be an imitation of something we like or think others will like. Of course you can’t help familiar sounds creeping in and colouring what you do, but we all have a such a broad and individual range of listening habits that indirect influence could come from literally anywhere. So far, you have released a debut album in 2010, an EP last year and you’re recording a new LP this summer. How will it differ from your previous work and what can we expect? Trent: I think you can probably expect a record that is roughly comparable to our EP Valsorda. We had a lot a of good material which didn’t make it onto that recording just because we had a limited budget, that will be on the next one, and we’ve since written a lot more along similar lines with maybe a few unusual and hopefully surprising songs here and there. But it’s hard to say for certain just because we have a lot of music with a variety of musical emphasis from which we take a selection. So I suppose that could go either way to making the album lighter or heavier, more grungy or bluesy, or whatever really. Marco: The first album was recorded just a few weeks after we became a band. I think it sounds a bit mono-dimensional compared to our later material. At the time we just wanted to get some recording done as quickly as possible in order to be able to start getting gigs etc, so we booked 2 days at a local studio, live recorded and mixed 10 songs and that was it. Today i see it as a good starting point but nothing more than that… We don’t really play those songs in our gigs anymore. The new record will arrive sometime in the fall. We have a lot of good material lined up for it. We have some videos on YouTube of rehearsal studio performances of a few of the new songs and people seem to really like them. Jon: We haven’t actually finalised where or who we will be doing our new record with so it’s a little hard to say exactly how it will differ in production. Though we have to keep moving forward and I think you can see the improvements between the first and second record, so we have to keep pushing ourselves and make sure that this one will be the best yet. Also the new songs are sounding great, maybe a touch heavier and fuzzier than the last EP. Who does all your amazing artwork for album covers and t-shirts? Jon: We generally come up with a rough idea of what we want for our artwork and then go to someone we think could bring life to those ideas. Stacie Willoughby did our last T-shirt; she is an amazing artist from the USA. She has done artwork for a lot of great bands including Radio Moscow and The Black Keys if I’m not mistaken. The Valsorda EP was designed by Elizabeth Tetlow who is an up and coming UK based artist. For people who haven’t seen you play live, how would you describe your usual set? Marco: Because of the nature of our music style, I think the live environment is the best way to experience it. Our records don’t rely on a lot of studio magic, so what you hear on those, is pretty much what you get at a concert. On top of that we try to put as much energy as we can in our live performances: that seems to be the best way to engage the audience, make them loose their inhibition and really participate in the performance… Once that cosmic vibration exchange mechanism is triggered, the show immediately escalates to a different level. Will there be any more UK shows in the coming months or are you going to dedicate yourself to recording? Trent: We haven’t booked any gigs in the UK for the coming months, just so we can focus on preparing new material for recording, not to mention post tour recovery. But I wouldn’t rule out the possibility that we’ll put on a few last minute shows here and there in London, and we do have a few coming up in Italy and France over the summer. I’m looking forward to getting back into rehearsals and then back out performing. Marco: We’ll be playing in Italy on July 14th and we’re booking dates for a mini-tour in late August around the Celebration Days Festival in Lille on the 17th. 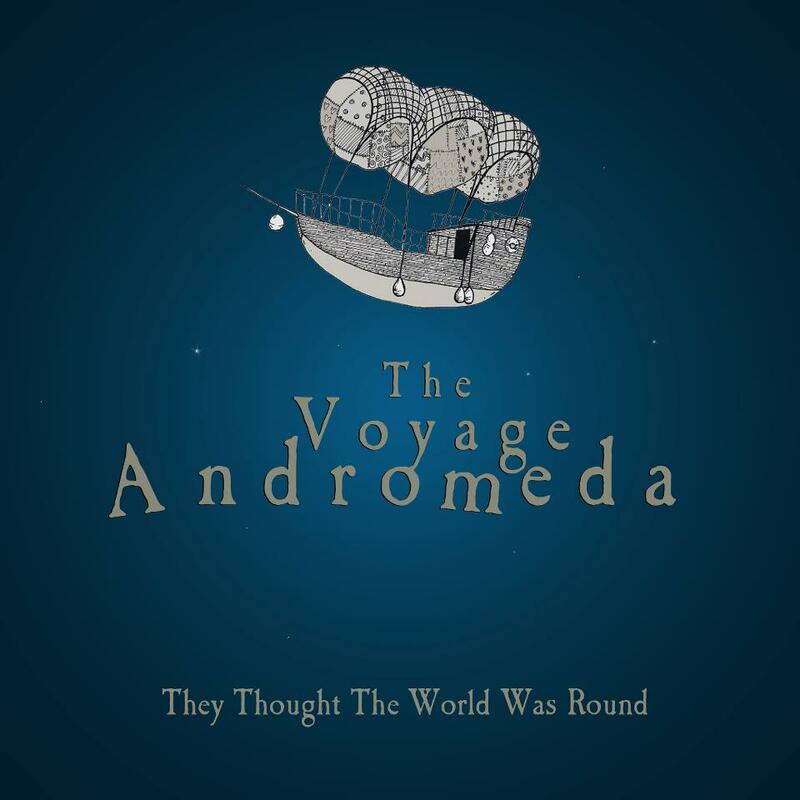 To kick off the month with something great and special, let me introduce you The Voyage Andromeda – Brighton based alt rock band whose first EP ‘They Thought The World Was Round’ will be released on May 26th. Now having had the pleasure to review this EP and interview the lead singer Dan Rumsey, I am happy to discover a band that has so much potential for their diversity of songs and instruments, great melodies and a quality vocal. The EP consists of 6 tracks, starting off with Don’t Drown Yourself (watch video below) which is the best track to kick off the album for it’s epic guitar intro, catchy melody and lyrics. As Dan says below in the interview, Nirvana was a big influence on this song. You can’t help but be highly impressed with the guitar riffs through the whole track. Simply rocking. Next track Years and Years is a very laid back but powerful piece with heartfelt lyrics, featuring piano and a guitar which builds up amazingly through the song and gives it a special wow factor. One of my favorite songs on the EP is called Waves, for it’s dark appeal and striking sound. Plus Dan’s vocal in it is absolutely amazing. It’s a song you can get completely lost in. Mesmerizing. One of the band’s influences and also one of my favorite bands is Interpol. And I bring that up because of the next track called I will never sleep which reminds me a bit of their sound and it’s truly fantastic. This shows that The Voyage Andromeda can pull off any sound. In If My Heart Stops Beating, Dan is really pouring his heart out as well as in the last track on the EP – Heart To Follow, Shore to Find; a heartwarming acoustic guitar track that gives it the perfect finish with a statement that this band won’t go unnoticed for much longer. Just because you’ve might not heard of them, doesn’t mean they don’t make some cracking music. So give it a go and let The Voyage Andromeda take you on a very special musical journey. It’s worth getting on board! Here, the lead singer Dan Rumsey answers some of my questions about his band, EP, etc. Could you describe the meaning/purpose behind both, your band’s and EP’s title? Yes, the name of the band came about because I found I was writing songs about things I yearned for and only ever dreamed of doing. So I wanted a title which would encompass that. I think it’s fair to say, the Andromeda galaxy is pretty far away and the chances of anyone ever getting there, even after our lifetime are extremely slim. So The Voyage to Andromeda would be full of risks, but full of excitement too, and if you never got there, think of the adventure you had along the way. That’s the long version anyway! The EP title came about partly because I love that people did believe once that our world was flat, that fascinates me. But it’s also a statement. See the world how you want to see it, and live your life how you want to live it, not how you’ve been told, you know? How long have you been writing and recording songs and what’s the best part of making music? I’ve been writing and playing for about 10 years in various different bands, some good, some great and some plain awful! A great part of making it is hearing something you’ve just jammed in your room by yourself be transformed into a finished song, all ready for people to hear. But the best part is when people tell you how a song affects them, because everyone has a different way of interpreting your songs. Someone told me once that one of my songs made them cry and I was shocked at first and couldn’t understand how that could happen, but it’s knowing that someone can connect that deeply with your work that really is the best part. I’ve shared your track ‘Don’t Drown Yourself’ with some other fellow music critics and a few of us agreed that it has a bit of Nirvana feel to it, which is a good thing. Do you take any inspiration from them or any other bands/artists? Thank you, I’m glad you said Nirvana because they were a big influence on that song, in fact I remember seeing a video or clip of the recording of the guitar on “Smells like teen spirit” where the guitar feedback decays through an entire verse. In verse 3 of this song I tried to do a similar thing, it’s obviously no teen spirit but hey! Other artists I love and take constant inspiration from are Alkaline trio, Modest Mouse, Interpol, Tom Waits, The Cure, The Smiths…. the list could go on. Do you have any special/memorable experiences from live shows so far? We are a fairly new band at the moment so haven’t done many gigs as this line up but gigs I played when I was gigging the band as Dan Rumsey and the Bitter End were all great and I’ll always remember them as special, mainly because I was onstage each night with two really awesome friends, that’s what it’s about. If you hate each other it’s not worth it. Some people say there needs to be friction and I agree with that to a certain extent but you it can’t work if you dislike who you are playing with. The EP release show is happening on May 26th at the Prince Albert in Brighton. What do you have in store for people? It’s going to be a good one, rehearsals for it are going great, it sounds really big and epic. We have lots in store… but beware as there may be a storm… and whales. Also on offer are two other incredible bands, Spit Shake Sisters and Emperor the Stag, it’s basically going to be a great party with three really great bands making a load of noise! The EP will be available to purchase from the 26th of May on iTunes, Amazon and Bandcamp. 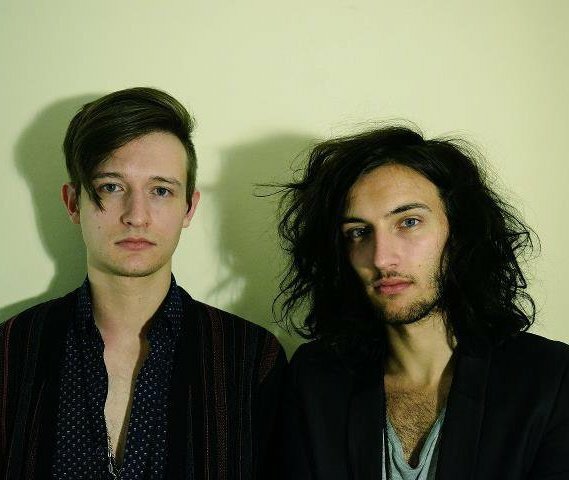 Automatic Writing consists of two London based brothers Neave and Jamie Merrick who create their own original type of electro-pop-noir with a style. Great electronic elements, very cool and unique vocal plus their creative homemade music videos add a special effect and personality to their brilliant sound. Here Neave and Jamie answer questions about music, their influences, likes, plans for the future etc. When and why did you start making music and what made you choose the style/genre of it? (NM) When I was about 9, I remember hearing Kate Bush’s Wuthering Heights on the radio and being blown away by it. The voice and the atmosphere really inspired me and I saved my pocket money to get a tape of her ‘Whole Story’ collection. She was my introduction to music but it was discovering The Cure that inspired me to start writing songs at the age of eleven. Since then, I’ve been hooked. (JM) I only got into the idea of actually making music relatively recently. Neave would like to think he influenced me but that’s far from the truth. Although he did get me into The Smiths and Bowie so I’ll give him that. (NM) When it comes to our style of music we never sat down and decided on a specific sound. It just comes from the music we listen to really. I’ve always been more drawn to electronic acts for some reason. What influences you the most while writing the lyrics? (NM) Day to day thoughts and feelings quite often influence my lyrics. It can be quite cathartic writing things down and getting them off your chest that way. Although it can also be fun writing from someone else’s perspective instead of just your own. Sometimes eves dropping on other peoples conversations can trigger a song. That’s something I like to do a lot haha! Which musicians/movies/books do you like? (JM) Film wise we’re both big David Lynch buffs. He has such an original view of the world that you can’t help but be inspired by it. His soundtracks are incredible too. (NM) We both love the likes of Bowie, The Smiths, Depeche Mode, Suicide, Arthur Russell, Brian Eno etc etc. I’ve been hooked on more recent like Grimes, John Maus and Anna Calvi too so I’m not completely stuck in the past! (JM) I’ve been reading quite a few of Quentin Crisps memoirs lately. He’s really funny and endlessly quotable. A modern day Oscar Wilde if ever there was one. (NM) I recently read JG Ballard’s High Rise. It’s both gripping and unsettling. Some of the images he creates have stayed with me ever since. Your music videos are quite unique and interesting. Do you make them yourselves? (NM) I made the video’s for ‘Continuous’ and ‘This Is Happening’ on my own at home with some footage I found whilst trawling the deepest darkest recesses of the internet. Then both me and Jamie worked on the video for ‘Crystal Visions’ and my girlfriend Charis filmed it. (JM) We both think it’s important for a band to have a strong visual element and making video’s just adds another dimension to what we do. There are many unsigned artists out there trying to make it in music. What are your thoughts about todays music industry? (JM) There are loads more people making music now because you can do virtually everything from your own bedroom. That’s great in one respect but it does mean it’s harder to get noticed. (NM) Yeah that’s true but there are also way more avenues in which you can put your music out there and at the end the day all you can do is make music that pleases you and hopefully other people will get a kick out of it too. All your songs are available for free download on Sound Cloud. Do you have any more music, shows coming up? (NM) We’ve just recorded a track that we’re really excited about and we’re planning on releasing it as a limited 7″ in the summertime. You can download Automatic Writing music free on Sound Cloud and if you like, follow them on Facebook and Twitter. They are from Wales, they are young, energetic, open minded and mostly they make some cracking and fresh rock’n’roll music. 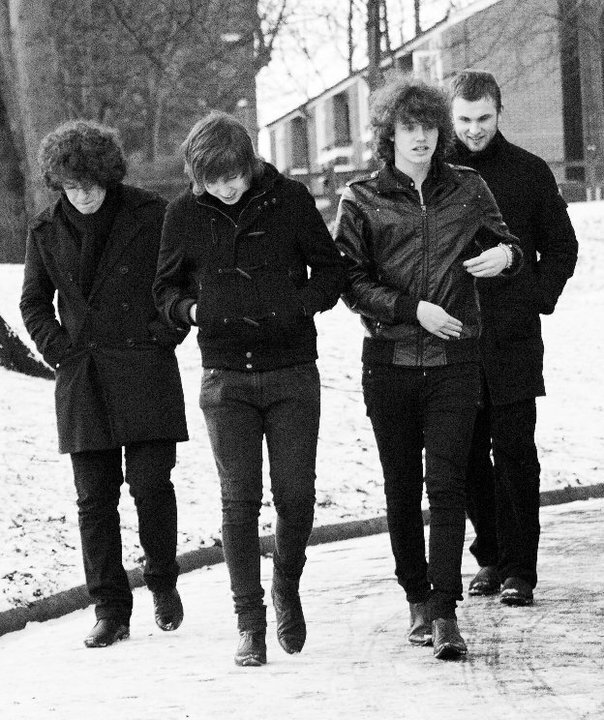 Catfish and The Bottlemen are the new IT band. Their new single Brokenarmy has been selling fast and its first 50 copies signed by the band sold out in a day an a half! At the moment the guys are taking the UK by storm with their live shows and for sure they’re about to gain many followers on the way. Lead singer Van McCann has found some time to answer my questions to give us an idea of what Catfish and The Bottlemen are all about. How do you guys know each other and what made you start a band? Me, Blakes, and Whittle knew each other from school. They were a few years above me and I used to wag a few lessons and go write tunes with them. Dr.Bob came through Blakes. Blakes is really into yoga, which I know is weird for a “rockstar”, but he says it helps him sleep haha. Dr.Bobs mum was the yoga teacher and Blakes mentioned to her he was starting a band and needed a drummer. She mentioned he drums, then BAM! Here we are. We started the band for the money, obviously! haha. Naaaa, we all love music and love writing it, so we just tried it and people seemed to dig it, so we’ve just not stopped. Who writes the lyrics and what is your main inspiration while writing? I write the words. To be honest my main inspiration are people and the stories they’ve got. Ever since I was little I loved hearing stories about my family and stuff. I always pick a few good songs on the road. The company in which I’m with is pretty exciting haha. Whittle and Bob are always getting up to no good so being out of the house and stuck on the road with them monkeys helps. In terms of music, I only know 3 chords so I just rip everyone off and change the titles haha. What kind of music do you listen to and are there any specific artists/bands you look up to? To be honest we’re all into older stuff like Van Morrison, Dylan and Elvis; stuff like that. But the only person I’ve ever been in awe of is Stephen Fretwell. I think he’s a genuis, he’s like a modern Dylan. I met him last year and I just froze up like an idiot. It was weird. It never happened to me before that. My dad’s quite inspiring too. He says a lot of one-liners when he’s drunk and trying to get all deep. That I use and chuck into songs haha. We just want to keep getting bigger and bigger. Moving up on the scene. Get a bigger van, get longer hair. All the important stuff really. You have many UK shows going on at the moment. How are you enjoying the tour and what is the best and the worst part of it? What can people expect from one of your live shows? Its exciting. We’re really passionate about the tunes and apparently that comes across on stage. I just think it’s something fresh. We’re not doing anything unusual or trying to create something out of this world. We’re just four lads with guitars and drums playing rock n roll music. We’re just putting a fresh spin on the older stuff. The tunes are good though, so if you come see us I think you’ll like the tunes. Our drummer’s good too. Your new single ‘Brokenarmy’ is available now and it’s doing really well! Any plans for a full album? We’re not too sure yet. We’ve got a load of songs, in terms of albums we’ve finished our 3rd already. But we don’t want our debut to be something that goes un-noticed, so we’re just waiting for someone to take a risk on us and throw a huge wod of cash up our little Welsh asses. Then we’ll stick it out to the world. I think the Japanese will love it though. They seem to be well into the new single haha. You can order the band’s new single ‘Brokenarmy’ on their website Catfishandthebottlemen.com and follow them on Facebook and Twitter!